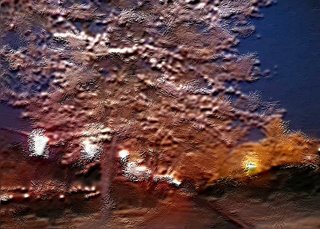 Hanami is the Japanese custom of admiring the beauty of the flowers, blossoming from March to May, in early to mid-Spring. These flowers are mostly the sakura (cherry blossoms) and the umé (plum blossoms). For Hanami, people gather in the parks and enjoy their time under the cherry trees. When the viewing activity takes place at night, Hanami becomes "yozakura" or... "night cherry blossom". - Tibetan antiqued gold hook clasp. On the 1st shot, detail of one of the cloisonné beads in the shape of a sakura flower, along with some of the Swarovski black pearls and a hint of the light peach bicones. 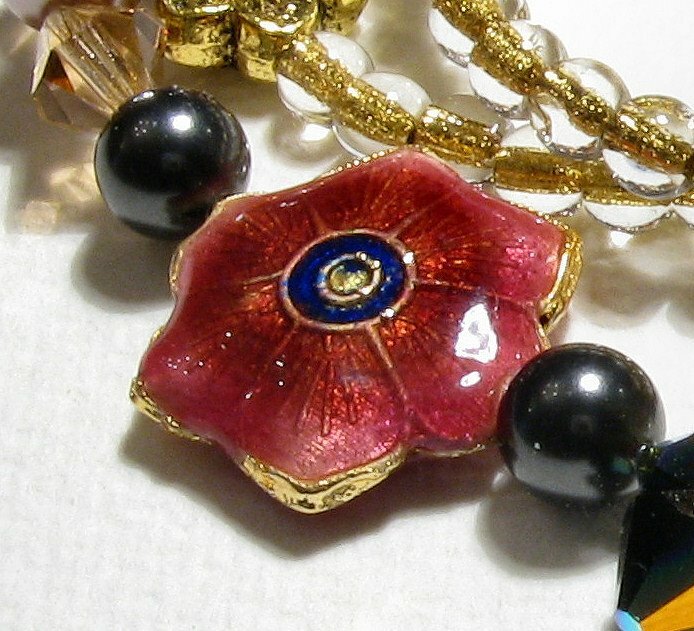 Visible are also the Czech glass beads. 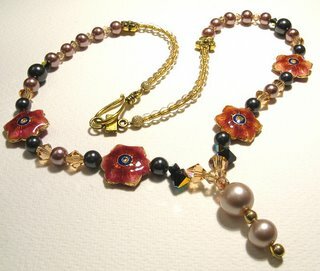 On the 2nd one, we can see one of the Swarovski Powder Almond pearls, along with some light peach bicones and Jet AB top-drilled pendants. On top of the pearl I added a small Swarovski faceted bead right where the wire splits in two and to cover any possible gaps. 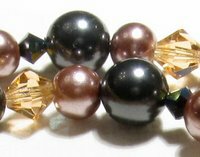 The 1st picture shows , once again, the Swarovski black pearls and also the small Chinese ones in a lovely shade of rosey taupe. Czech small beads and antiqued gold spacers are also visible here. 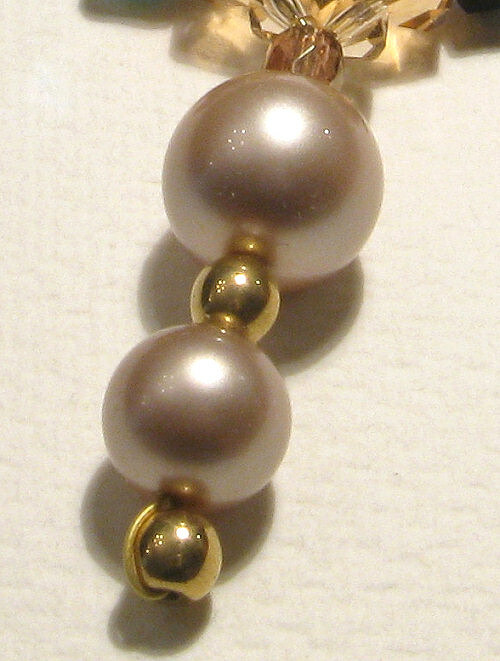 The 2nd one displays a close-up of some of the Powder Almond Swarovski pearls, used as a pendant. 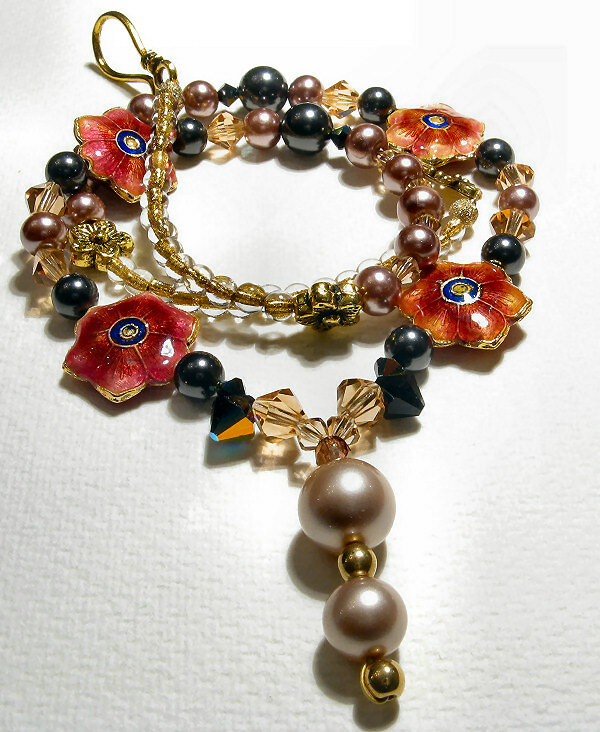 The two golden beads between them and at the bottom are Czech glass as well - not metal. 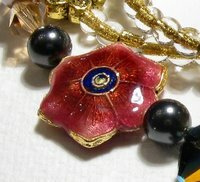 The loop for creating the "pendant" effect can also be seen. 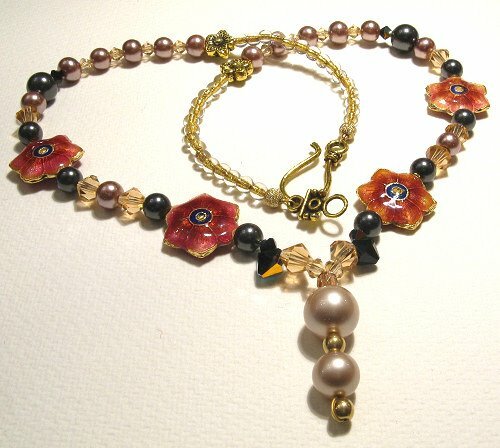 I used a stainless steel gold-plated wire for this necklace. Picking the right colour for the wire is also important because sometimes it shows through transparent beads, thus, it should match the whole thing. The 1st picture shows a nice close-up of the black Swarovski pearls, light peach bicones and pale rose Chinese pearls. 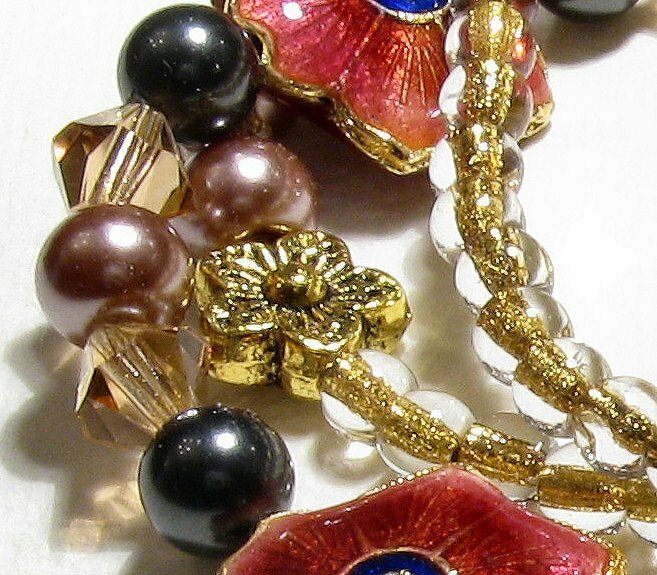 On the 2nd one, we have more Chinese pearls interspersed with more of the bicones, and also the flowery spacers. 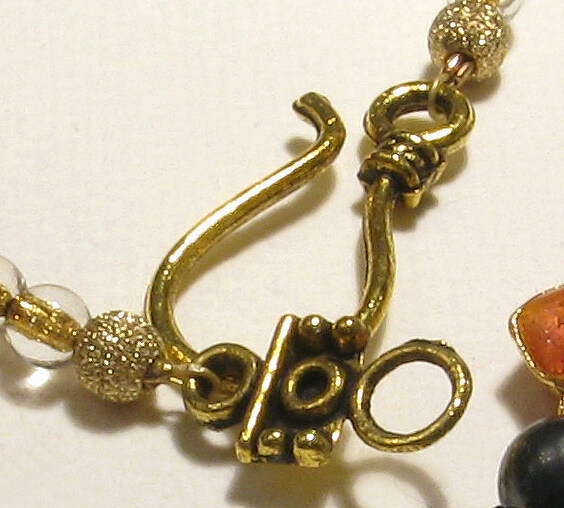 This is a close-up of the lovely hook clasp, in antique gold. They are very safe and easy to handle, although a bit on light side. That is not a problem here since the necklace itself is already very light. 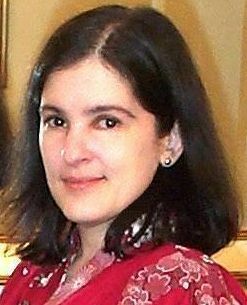 I did not use any gemstones this time and this reduces the weight significantly. Gold-lined Czech beads and stardust spacers can also be seen on this picture.